Dr. Mohamed Ibrahim, Minister of Antiquities, announced today the new discovery by the mission of University of Basel in cooperation with the ministry of antiquities. 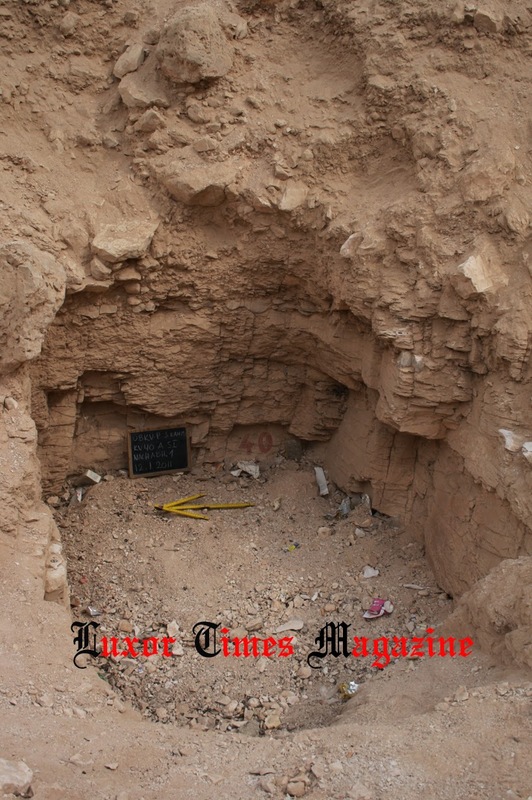 During the current field season of the University of Basel Kings' Valley Project, a subterranean tomb with several large chambers (KV 40) was identified as the burial place of members of the families of the pharaohs Thutmosis IV and Amenhotep III (ca. 1400-1350 BC). 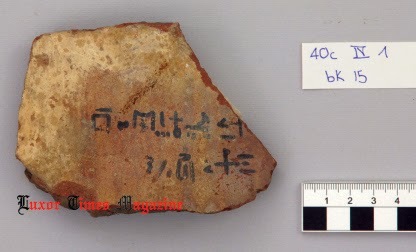 The analysis of hieratic inscriptions on storage jars revealed the identity of over thirty individuals, among which eight hitherto unknown royal daughters, four princes and several foreign ladies. One princess is called Taemwadjes, another one Neferunebu. 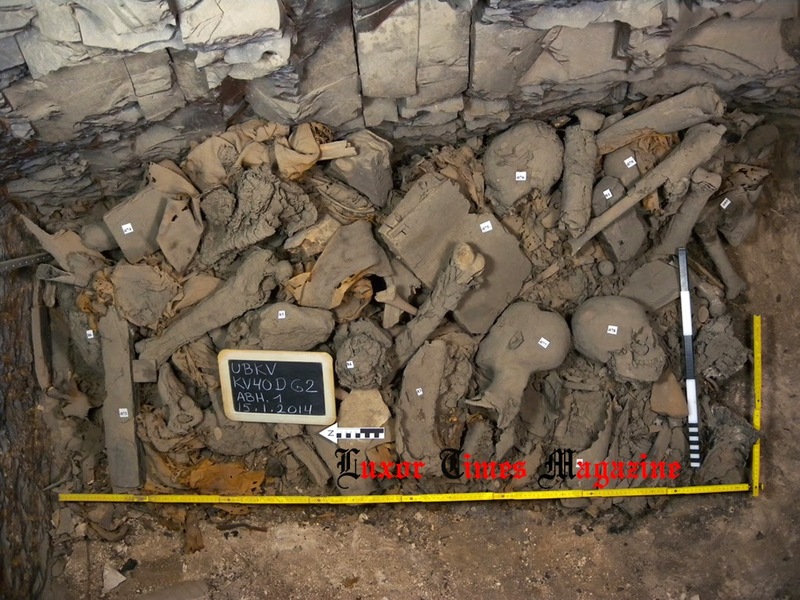 With this discovery, the University of Basel Kings' Valley Project fills an important gap in Egyptological research, insofar as the individuals buried in the non-royal tombs of this necropolis remained largely anonymous up to now. Tomb KV 40 contained the mummified remains of at least 50 people – including carefully mummified new-borns and infants – as well as countless fragments of their funerary equipment. 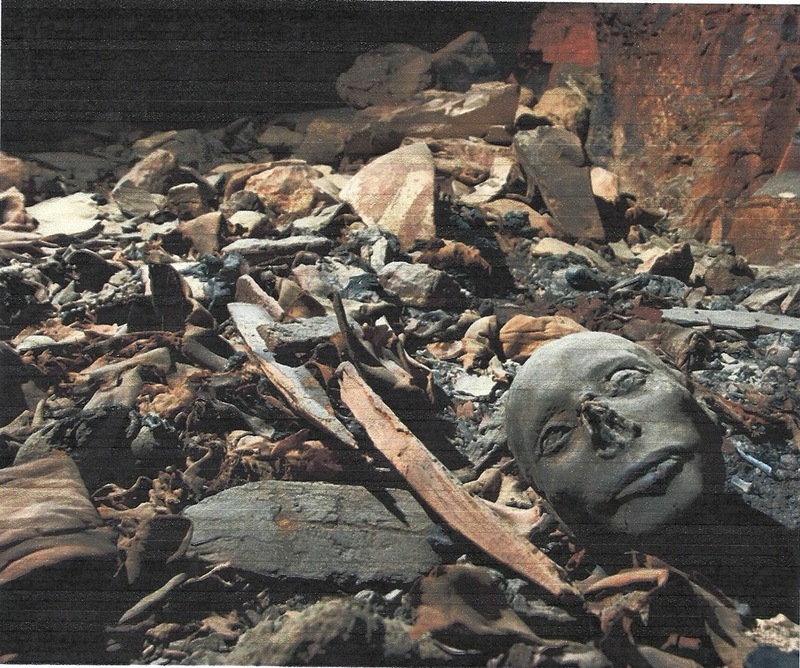 All remains were plundered several times and heavily affected by a fire. 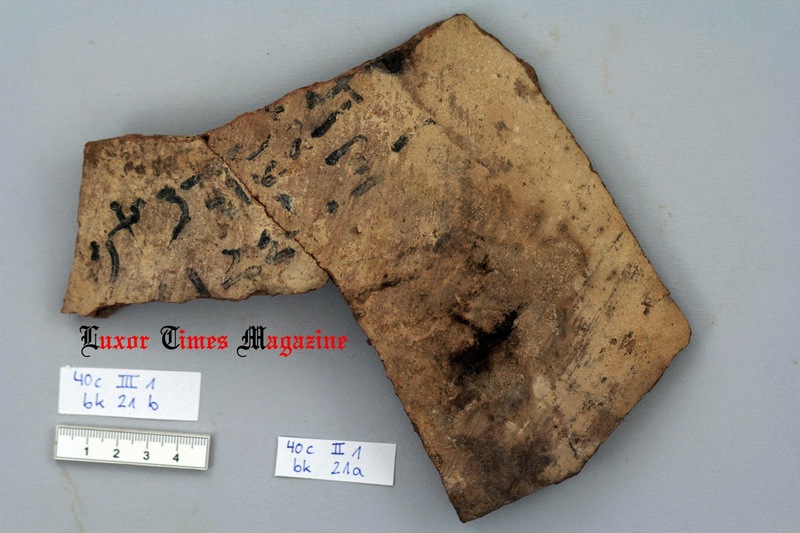 The fragments of various wooden and cartonnage coffins indicate furthermore that the tomb was used a second time as a burial ground: long after the abandonment of the Valley as royal necropolis, members of priestly families of the 9th century BC were interred here. Ali Al Asfr, Head of Ancient Egypt Antiquities department, said that anthropological analyses as well as further examination of the fragmentary burial goods will in future deliver important insight into the composition of the pharaonic court of the 18th dynasty as well as the conditions of life and the burial customs of its members. University of Basel Kings' Valley Project is directed by Prof. Dr. Susanne Bickel and Field-Director lic. phil. Elina Paulin-Grothe.